We can do it! This great tin sign features feminist icon Rosie the Riveter. The 13 by 15 inch sign has pre-drilled holes for hanging and is made of die-cut, embossed tin, for the perfect empowering vintage touch for any room. 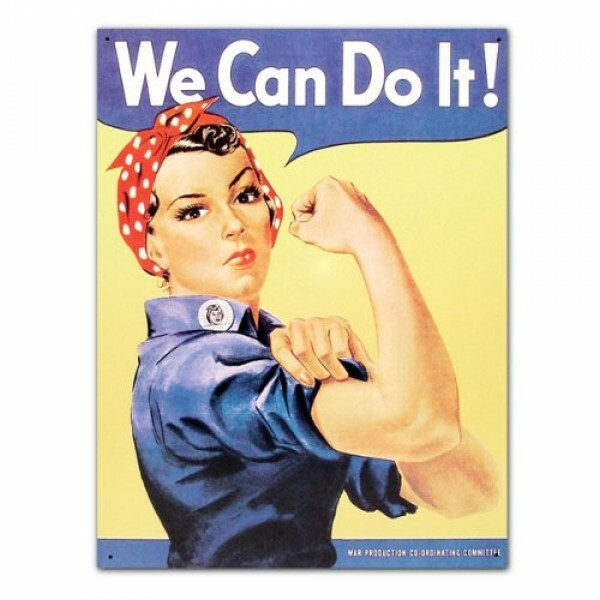 For more products featuring this iconic character, please see our Rosie the Riveter Collection.